CooP-Africa’s bicycles in the Bike4Care programme save lifes in Africa. Access to health care is for many people in Kenya and Uganda still inaccessible. 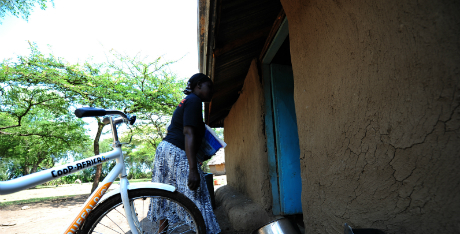 The community health worker on a bicycle brings this health care on the doorstep of these people. This year CooP-Africa will equip 2,500 community health workers with a bicycle so that more than 1 million people have better access to health care. Visit our Bike4Care page to read more about the programme and follow us on Twitter and Facebook for the latest updates. No Comments to "This bicycle saves lifes"